InspectionXpert - SteepGraph Systems Pvt. Ltd. » SteepGraph Systems Pvt. Ltd.
InspectionXpert is a Ballooning and Inspection Reporting Software.SteepGraph is authorized Subscription License Reseller partner in India. ELIMINATE MANUAL BALLOONING Create ballooned inspection prints from PDF, TIF, AutoCAD, CATIA, CREO, Solid Edge and SolidWorks drawing formats, and balloon 3D CATIA Models. ELIMINATE TYPING ERRORS Highly accurate OCR captures data from PDF and TIFF or instantly extract dimensions and notes with CAD-supported versions. CREATE STUNNING REPORTS Generate industry-standard reports such as AS9102 and PPAP forms or you can create your own custom reports. SAVE TIME, SAVE MONEY, REDUCE ERRORS Create quality inspection documents in a fraction of the time. 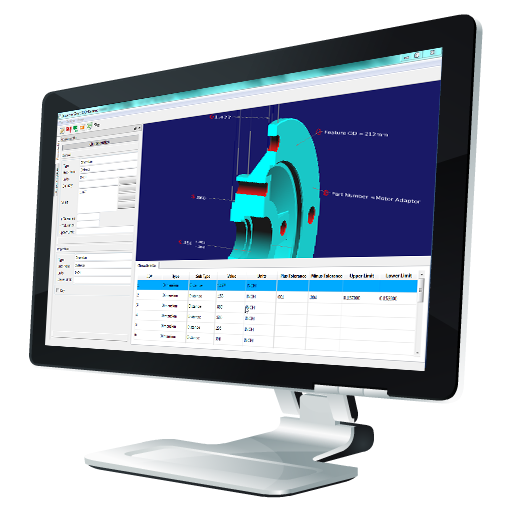 Eliminate bottlenecks in quality inspection and increase throughput in manufacturing. Companies implementing InspectionXpert often achieve 100% return on investment in less than a month. View the ROI calculator at www.inspectionxpert.com to calculate the Return on Investment for your organization. Catering to Industries like Aerospace, Defense, Automotive and Heavy Equipment, Oil & Gas, Medical Device, Contract Manufacturing and Job Shops. 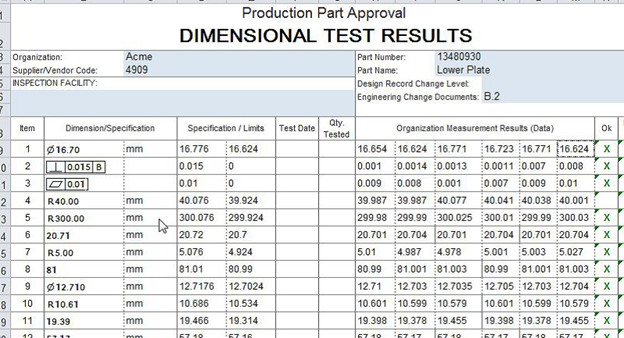 InspectionXpert OnDemand is software that automates the process of ballooning inspection prints, importing measurement results, and creating inspection packages from any PDF or TIF file. 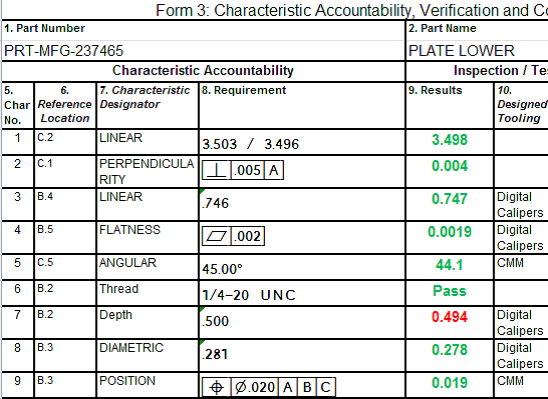 Create first article and in process inspection documents for AS9102, PPAP, TDP, Control Plans and more. InspectionXpert OnDemand can be accessed from any web browser making it simple to access and deploy, while keeping data securely on your local computer. 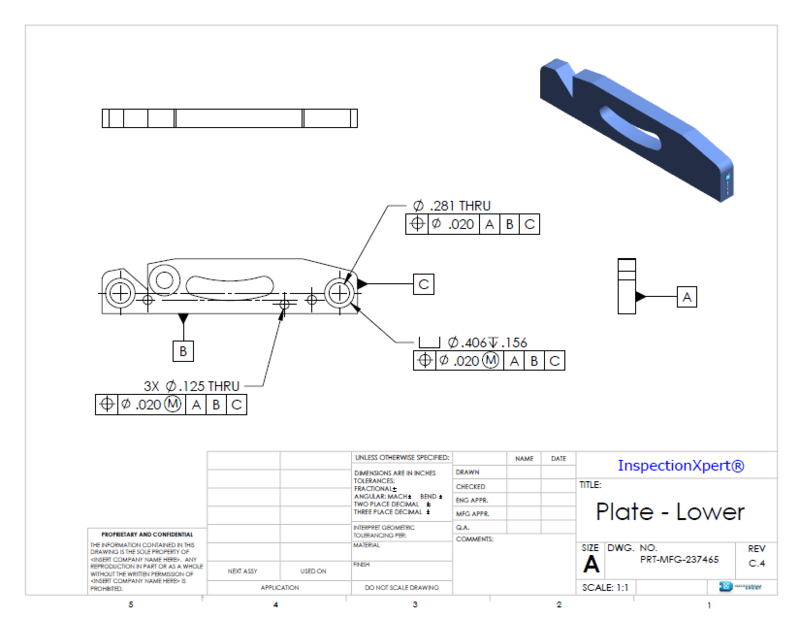 Creating inspection packages from native 2D and 3D CAD files.